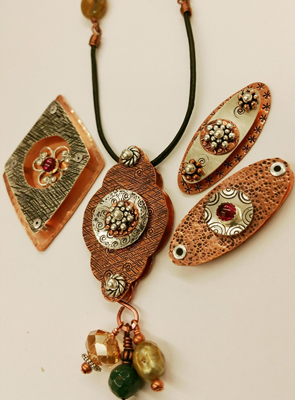 This class explores basic metalsmithing and creative riveting techniques using Gwen’s patent-pending Riveting Essentials, including the use of tubes to create a dimensional, elevated pendant. 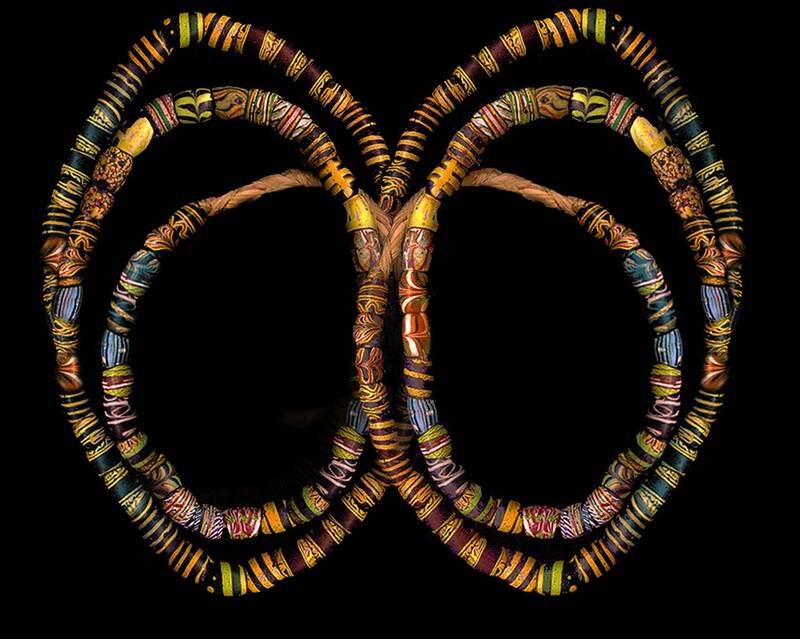 Also included are discussions of additional design ideas, opportunities to practice cutting, shaping and texturing metal and a simple technique to embellish the leather cord so students can wear their unique creations home. Skills/Techniques Learned: Students will learn a variety of riveting techniques, including the use of tubing to create a dimensional piece. In addition, basic metal working techniques, such as cutting, texturing and stamping, will be covered.